Suffering engine failure in a seaplane over southern Arizona quickly presents many challenges. No water, no wheels, losing altitude, and rough desert terrain below. 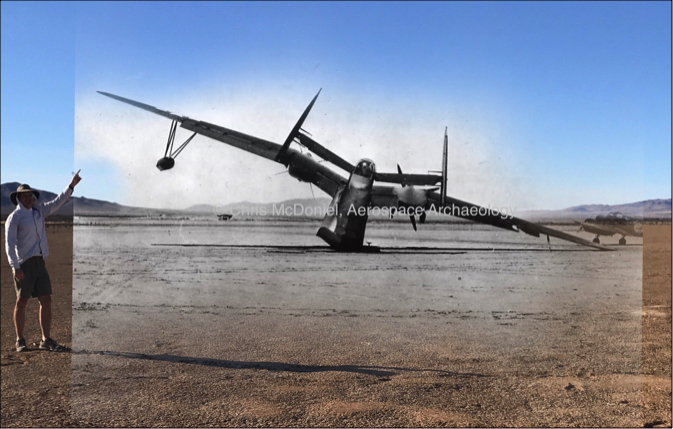 Pilot Scott Fitzgerald aimed his seaplane for Willcox Dry Lake and successfully landed the ailing aircraft. The crew consisted of, pilot Lt. Scott S. Fitzgerald, co-pilot Lt. Robert D. Holbert, navigator Gerald L. McCormick, Joseph Allen Emerson, AMMF1c engineer, Raymond F. Wallmark AMMF3c mechanic, and John Barry Letterman ARM3c radioman. Navy and Martin personnel repaired the aircraft. 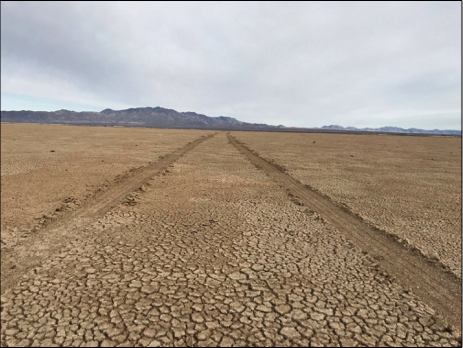 The plane was flown off the Playa using a beaching gear for wheels and a makeshift runway. 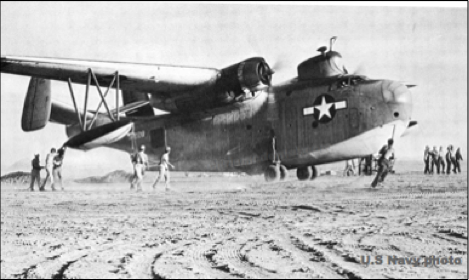 Lt. Flynn was at the control when the Mariner lifted off the Playa. Hoping to confirm the Bureau Number of this aircraft. PBM resting on the dry lake. 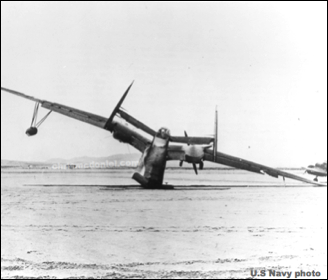 Repaired PBM preparing to takeoff from the dry lake. 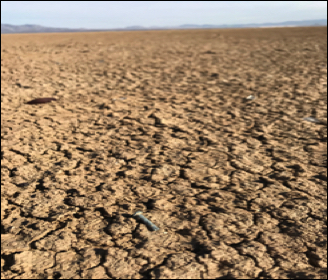 Look closely, aircraft rivets litter the playa after matching up old photos with the present. Very (very) small pieces located at the Mariner landing site. Lining up mountains in the background, I was able to locate the Mariner's landing spot. 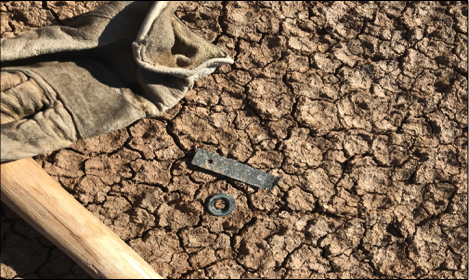 As a result, I inserted myself into the past, standing in the vicinity of the dagamed Mariner on the dry lake. Note the AT-17 on the right side of the original WWII era photo. 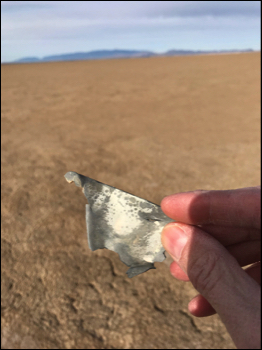 One tiny piece of aircraft aluminum in the area of the "landing." Fortunate for an overcast day since there is no shade.